Total Wine & More‘s Buying Team is spending the week in Bordeaux, France experiencing VinExpo, the world’s largest get-together for wine and spirits professionals. 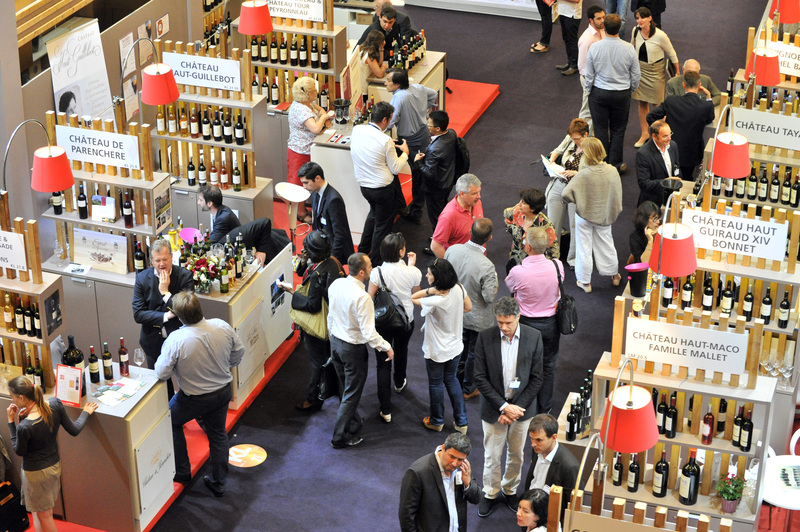 With 50,000 attendees and 2,400 booths, VinExpo is the ultimate event for the wine and spirits industry. Michelle Trone, daughter of Total Wine & More co-owner David Trone, will be checking in periodically this week with all the goings-on at this exciting event. Next to a picturesque lake, three enormous exhibition halls are packed full of booths set up by wineries, distilleries, and négotiants. Around every corner there seems to be another label to admire or another tasting booth stocked with the latest vintages and newest products. Standing at the entrance to the main exhibition hall, the 2,400 booths stretch so far that you can’t see the end. The wine booths are organized by region and country, and feature everything from classic Bordeaux reds to lesser-known regions such as Romania and Turkey. 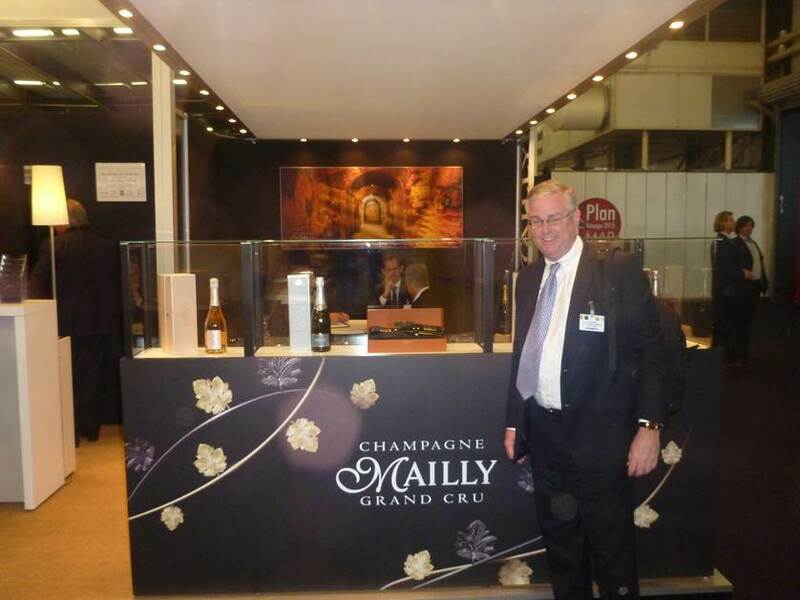 Our team of wine experts is spending time at VinExpo strengthening our current relationships and building new ones. We arrived with certain goals in mind – such as expanding our selection of South African wines – while also just exploring and looking for new and interesting products. Monday morning our team met with some of our favorite winemakers, learning more about the wines and the people behind them. We met with Noel Bougrier and his son, makers of the popular Vouvray V in the Loire Valley, and tasted some of their newest wines. Delicious! I spent the rest of Monday with our head Spirits buyer focusing on expanding our spirits selection, meeting distillers from all over the world and learning about products ranging from Japanese whiskey to cocoa vodka. My favorite meeting was with Scottish producers selling $15,000 whiskey … unfortunately we didn’t get to taste that one! On day 2, I started off the morning by continuing our mission of expanding our spirits selection. Then we met with the Château Mouton Rothschild team – my favorite first growth Bordeaux. We discussed plans to send some of our top wine managers and store managers for a visit to Château Mouton Rothschild in May 2014 as part of Total Wine’s biannual staff education trip to France, and plans to have some of the Château Mouton Rothschild staff visit some of our stores for Meet the Maker events. I was fortunate enough to join the Managing Director of VinExpo, Robert Beynat, Chairman of Vinexpo, Xavier de Eizaguirre, and nine other guests at a small private lunch, catered by a 2-star Michelin chef and featuring some truly spectacular wine from France and California. Another hard day at the office! Our intimate lunch included wine lovers from all parts of the industry (from winemakers to importers to retailers), most of whom had been coming to VinExpo since before I was born. 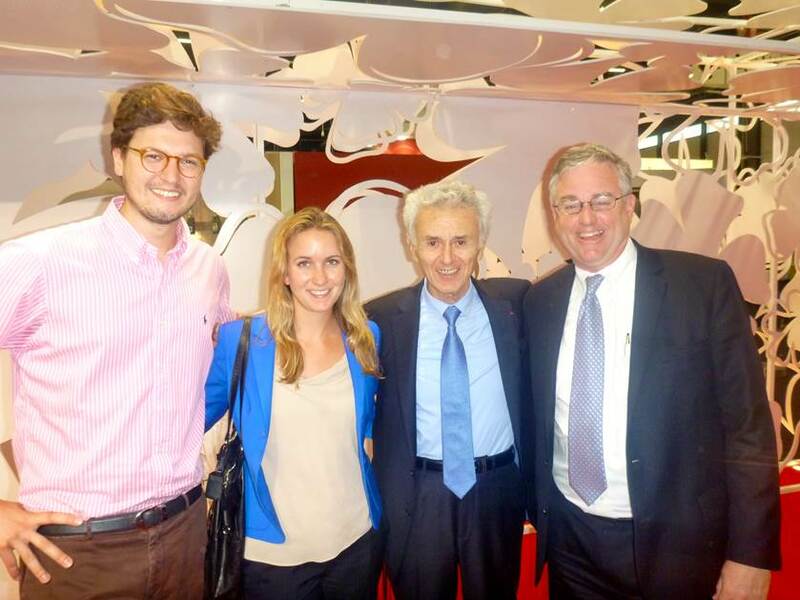 Their passion for the wine and for VinExpo showed through in their conversation, which ranged from a discussion of how the recovery of the American economy was impacting French wine exports to the successes and struggles of other VinExpo events, which have been held in Hong Kong and the US. After lunch, several members of our wine buying team met with Georges Duboeuf, the King of Beaujoulais, for a tasting of several of his newest wines. We also ran into Georges Duboeuf’s grandnephew, Adrien (a former Total Wine intern) who is now Duboeuf ‘s Director of Exports for Beaujolais Nouveau in Asia and South America. I finished off the day with a glass of wine with Jean-Charles Boisset, the largest landowner in Burgundy and owner of numerous vineyards through California. We tasted an exquisite blend of three of his finest estates in Burgundy and two of his estates in Napa Valley – a unique combination of the best of America and the best of France. It was a busy first two days, and by the end of it I was exhausted from running back and forth across the gigantic exposition halls. I learned the importance of never wearing heels to wine expositions, and more about wine and spirits in two days than I thought was possible. I’m looking forward to Day 3! wow what an education, and fun trip to attend. Thanks Total Wine for having the best wines available at your store. One day I would love to work at your Brea, CA store. Hi, Beverly! We’re always looking for great people, stop by anytime to set up an interview with the Brea store manager.